PHOENIX learned the hard way that San Miguel is not just all about June Mar Fajardo. Its focus centered on the 6-foot-11 reigning MVP, the Beermen’s bevy of gunners punished the Fuel Masters with their efficient shooting from the outside that keyed the team’s 100-88 win in the opener of their PBA Philippine Cup semifinals series Saturday night. Alex Cabagnot was deadly from three-point range, hitting for 26 points including 5-of-9 from three-point range, while Chris Ross and Marcio Lassitere combined for 28 points and six three pointers. In all, the Beermen shot a high 38 percent from downtown (38.3 percent), giving Phoenix coach Louie Alas another concern outside of Fajardo heading to Game 2 on Monday. “We’re focused so much on this guy (Fajardo) na nakalimutan namin yung perimeter players nila na siyang sumu-shoot sa labas,” said Alas. The Fuel Masters did limit Fajardo to just nine points and nine rebounds, and even forced him to foul out late in the highly-physical encounter. But Fajardo was a non-factor when the Beermen went on a huge third quarter tear instigated by the quartet of Cabagnot, Ross, Lassiter, and back-up wingman Ronald Tubid. 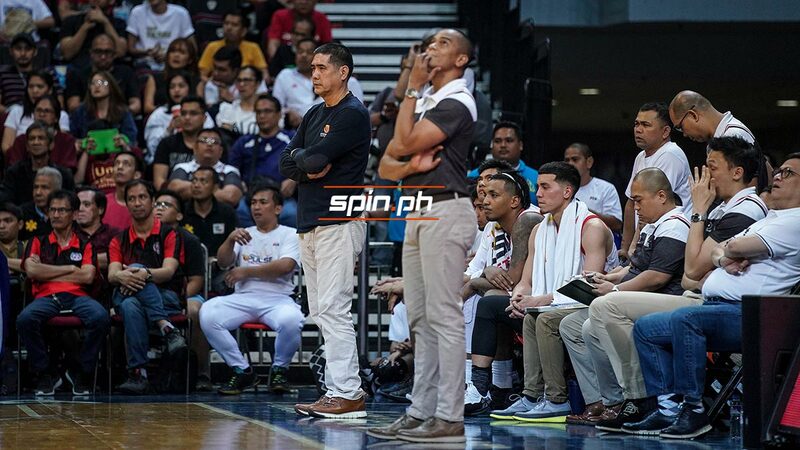 At the same time, Alas said the Fuel Masters’ inexperience in the big stage such as the semis took its toll on the team during that crucial stretch in the second half. “Nung lumamang na sila ng 24, since hindi beterano sa semis, medyo may kaunting chaos,” admitted the Phoenix mentor. The Fuel Masters did make a fight out of it in the final quarter, rallying back to cut the deficit to just seven points only to fall short in the end. For Alas, that’s one positive note the team can take with them the rest of the series. “I told them ang importante dito tapusin natin ito ng tama, dahil hindi lang naman ito para sa Game 1 pero para rin sa mga susunod pang games,” he said.